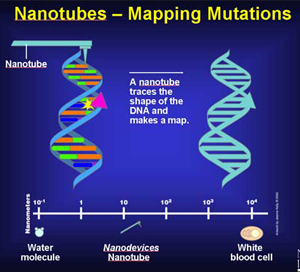 One revolutionary cancer study undergoing assessment is that of mapping cell mutation using ‘nanotubes’. CANCER - “The Big ‘C’” - No sane person would be pleased to read those words on their medical report so, to strike another blow against this life destroying disease, in June in Dunedin The Freemasons’ Oncology Fellowship and Appeal was begun to raise funds for a Fellowship at the Dunedin School of Medicine. As the people from the Otago and Southland provinces receive their treatment for the most prevalent types of cancer in Dunedin, and as major cancer research is also being carried out in the city, it was decided that all Freemasons (and any interested non-Masons) from both Otago and Southland should be involved in the appeal. The oncology project is a joint venture between The Dunedin School of Medicine and ALL of the Masonic Lodges in the region (regardless of their Constitution, be that New Zealand, Irish or Scottish). For ease of administration, it was deemed expedient to simply utilise the three existing NZ Masonic Districts as separate fund-raising areas and split our commitments three ways, that is, the equivalent of $5,000 per annum or $15,000 (over 3-years) from each District, Otago / Dunedin / Southland. The Freemasons’ Charity agreed to put up $15,000 per annum plus a further $15,000 pa to match the total of $15,000 pa raised within the Districts. 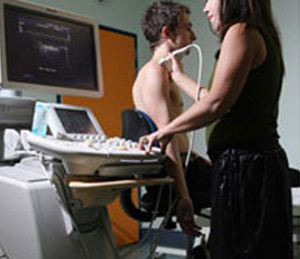 In the 21st century, if detected early enough, many cancers are curable. Three years was agreed as the length of time of tenure for the Fellowship. Any funds surplus to commitments can be used to either extend the tenure or to finance any special equipment that may benefit the project. Obviously, the more swiftly the total can be attained the better and, at the time of writing, the Appeal is going well - but we still need your help! To cement the agreement to raise funds for this worthy cause, a ‘Memorandum of Understanding’ has been signed by the President of the Freemasons’ Charity, Mark Winger (on behalf of the Freemasons) and Dr Chris Jackson (on behalf of the Academics). (See ‘Memorandum of Understanding’ link.) Clause 5 in the ‘Memorandum of Understanding’ clearly sets out “how the funding is to be used”. To keep Brethren abreast of developments, a newsletter is being periodically circulated to all Lodges in the Otago and Southland provinces. Regarding a Constitution’s, a Lodge’s or an individual’s involvement. The Freemasons’ committee formed for administration purposes is completely independent of the Freemasons’ Charity and NZ Districts. The committee has its own Bank Account and Treasurer, and the latter will, from time-to-time, send out to all Lodges in Otago and Southland a report on funds received. NOTE-2: A printable picture of the Bank Deposit Slip (bottom left) for the Bank Account opened specifically to fund this very worthy cause is available here, allowing interested parties to pay in whatever amount they feel they can afford.